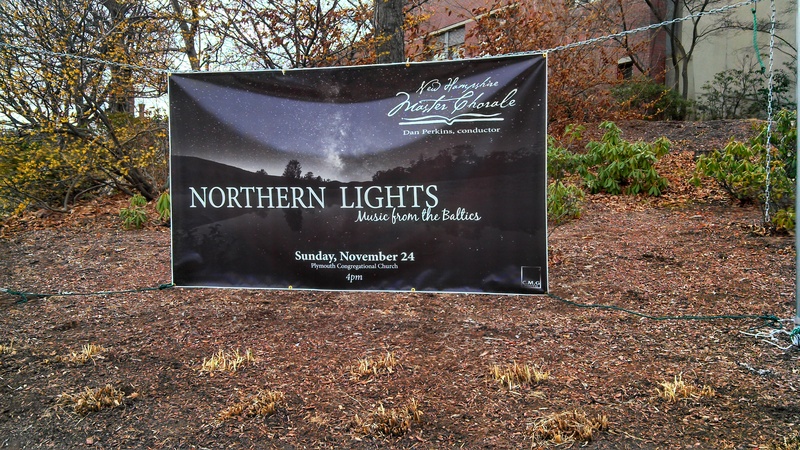 Today’s full color digital printing technology allows us to create striking vinyl banners! Imagine how much more attention a banner like this gets than the kind of thing we did 10 years ago. A full color, attractive banner like this is also a lot easier to get permission to display. If it were a hokey banner of cut vinyl letters, who would want it on their property? Something like this attractive art is usually welcome. The NH Master Chorale concert was fantastic, by the way! This entry was posted in Vinyl Banners and tagged attractive vinyl banners, digital vinyl banners, full color vinyl banners. Bookmark the permalink.